CTO, Altron Bytes Managed Solutions. Vaughn Naidoo is CTO of Altron Bytes Managed Solutions. He held various executive roles during his 12-year tenure with the Telkom Group prior to joining the Altron Bytes Managed Solutions exco. 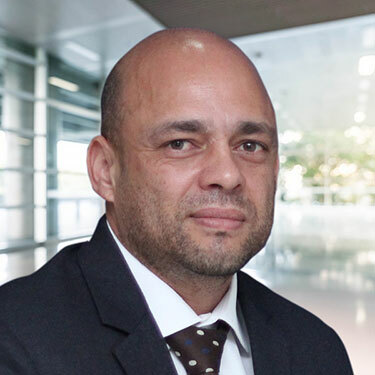 He has more than 15 years' ICT experience and 10 years' senior executive experience in P&L oversight, multichannel product portfolio management (ITIL and eTOM), solution development, pre-sales, technology management and strategy. Naidoo's responsibility is driving the company's IT strategy and working with the engineering teams toward continued delivery of innovative products that meet revenue objectives. He holds a Master's Degree in Computer Science and his personal interests include the advancement of children's education, particularly around science and technology, and the mentorship of fellow employees.